What are the benefits of music education? | Back to Basics Learning Dynamics, Inc.
What are the benefits of music education? Although arts education as a whole has endured severe funding cuts in recent years, there is important evidence that music education, in particular, has tremendous educational benefits that go far beyond simply teaching children to enjoy a good tune. Want to raise IQ? Try music education! In a study published by E. Glenn Schellenberg in Psychological Science, six-year olds who studied music for nine months were tested against children who studied drama, as well as a control group that received no additional arts training. The result? The children who received piano and voice lessons tested, on average, three IQ points higher than both of the other groups! In a study published by Christopher Johnson, professor of music education and music therapy at the University of Kansas, elementary-aged students who participated in superior music education programs scored approximately 22% higher in English and 20% higher in math on standardized tests. The students were compared with students of the same age and socioeconomic status, who were enrolled in elementary schools with low-quality music programs. In addition to test results, music training is also proven to help with basic recall, particularly remembering verbal information. This, of course, aids students in recalling lecture information for day-to-day testing situations, resulting in higher grades in school. Music Classes. Teachers, tutors and classes are available for everything from traditional piano and violin, to electric guitar and marimba. For example, the Wilmington Music School offers a continuum of musical experience classes of all kinds – starting for children as young as 6 months old. Private Music Instruction. For a more personal experience, Back to Basics Learning Dynamics in Wilmington and Newark, Delaware offers 1-on-1 instruction in many instruments including clarinet, flute, drums, guitar, oboe, piano, tenor sax, trumpet and violin. Students receive the complete attention of the instructor and can advance at their own pace. Plus, tutors are available throughout New Castle County and can even travel to a student’s home, office, or school, 7 days a week. The Wilmington Children’s Chorus is wonderful children’s choir for the Greater Wilmington community in Delaware. Their mission is to share a love of choral singing, performance and musical knowledge, plus they provide free access to all interested children, regardless of their financial, social or ethnic background. The University of Delaware Children’s Choir. This choral music education and performance program at the Community Music School at the University of Delaware is open by audition to qualified child with a treble (unchanged) voice, in grades 1st through 7th. No matter which method you choose to integrate music into your children’s lives, they will benefit from the musical experience. So, encourage your kids to break out the harmonica, banjo or ukulele and… make some music! To learn more about all of the music options offered 1-on-1 in Delaware, please contact Back to Basics Learning Dynamics at 302-594-0754. Do music lessons make your children smarter? New study suggests a direct correlation! 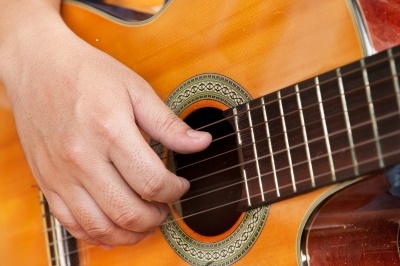 4 essential ways that music lessons boost academic learning!